ownCloud is a client-server application suite that lets you create and manage file hosting services. It is a free and open source application suite so anyone can install and configure their private owncloud server and can start file hosting services. It supports unlimited disk space and any number of connections to your file hosting services. Users can connect to owncloud server using owncloud desktop client application. Owncloud desktop client application is available for all popular operating systems like Linux, Microsoft Windows and Mac. 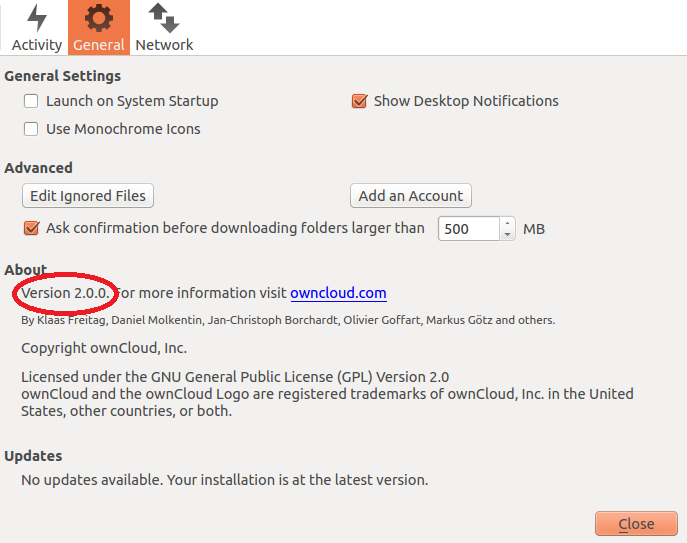 The most recent version ownCloud Desktop Client 2.0 is out now. Let’s review its prominent features and installation process on Ubuntu Linux 15.04. There are couple of very useful features introduced in this new release. It comes with an enhanced graphical user interface to support multiple accounts. You can set threshold values now. You can use this feature on all mainstream operating systems. One of the coolest additions is the ability to restrict the synchronization of large folders from owncloud servers to the local desktops. If your local system is having space related issues, you will certainly find this feature very useful. It will ask you for confirmation before synchronizing high size folders to your local system. The installation process for owncloud desktop clinet 2.0 on Ubuntu is easy, launch your system terminal and run following command to add owncloud desktop client’s PPA information to your Ubuntu system package manager. sudo sh -c "echo 'deb http://download.opensuse.org/repositories/isv:/ownCloud:/desktop/xUbuntu_15.04/ /' &gt;&gt; /etc/apt/sources.list.d/owncloud-client.list"
Run following command to install latest owncloud desktop on your Ubuntu system. 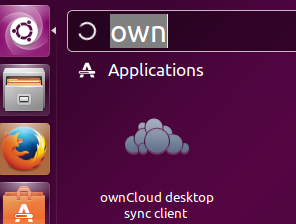 Congratulations, ownclient desktop client has been installed, launch it from Applications menu. There you go, start using this client to connect with your online file hosting service. You can verify the version for your owncloud client from “About” option. Owncloud is an evolving technology and lot of service providers are offering owncloud based hosting services are well. Owncloud desktop app is a must-have utility to successfully manage your files and data.